For those of us who have considered facial surgery, we now have an alternative to the face or neck lift. Silhouette Soft is a technological innovation offering men and women what no treatment has every provided in such a simple way: a redefined face, restored volume and reduced wrinkles by means of a 30-minute treatment with our Doctor, Aarti Naryaan-Denning. This procedure uses the only product on the aesthetics market enabling two joint actions: a lift effect and a regenerative effect. 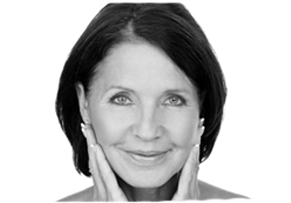 It’s a thread which is inserted into the brow, cheek, neck or jowl to lift – a little like the one-stitch facelift, pain-free with a very short recovery time. It’s ideal for the areas around the brows, jowls, nose to mouth lines and neck where a lifting action is needed. A thread is inserted under the skin and will work its magic for up to 2 years before being naturally absorbed by the body. During this time you also have the added benefit of stimulation of collagen, for progressive and natural results. This procedure is discreet but works, and is available from £400-£800 (depending on how many threads you require).